They may have burdened us with Trump, Black Friday madness, the Kardashians and Crocs, but one thing that we have to thank the USA for is fried chicken. 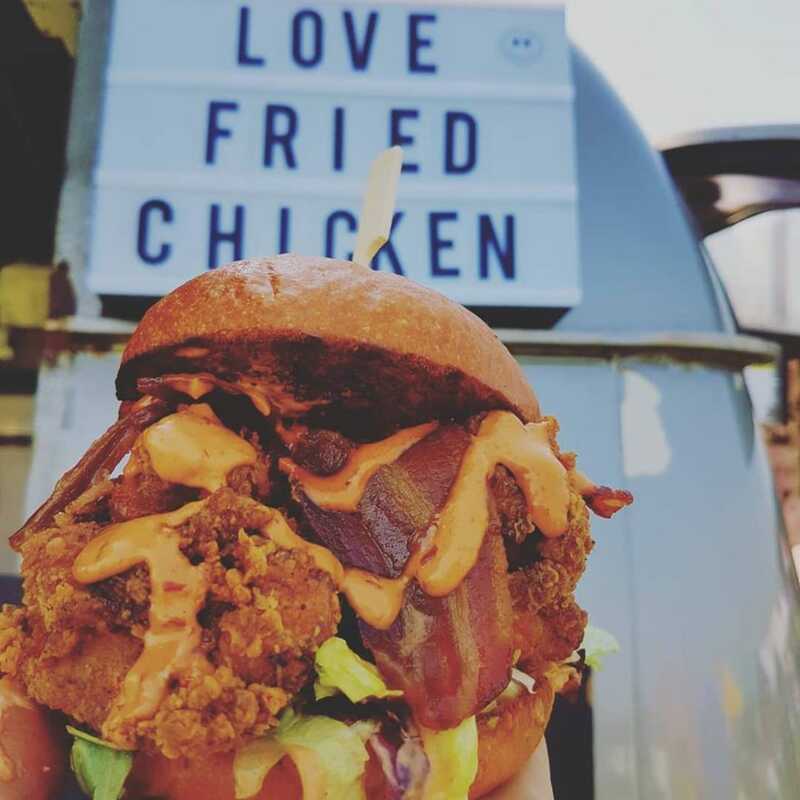 Here are 7 British street food traders that are absolutely smashing fried chicken and are ready to cater at your next event! With a vast menu of buffalo chicken, buckets, boneless boxes and wings, Thunderbird are giving classic fried chicken a run for its money by using the absolute best ingredient for each aspect of every dish. Feast It loves the Chipuffalo, with fried buffalo and chipotle chicken, lettuce, pickles and a blue cheese sauce. Combining two great loves from The States, CRISP put their own indulgent spin on fried chicken and mac ‘n’ cheese by adding booze to their recipes, creating whiskey marinated fried chicken and macaroni cheese flavoured with Guinness and Prosecco. Feast It loves The Chicken Mac, with three whiskey marinated fried chicken tenders on a hedonistic bed of Guinness macaroni cheese. 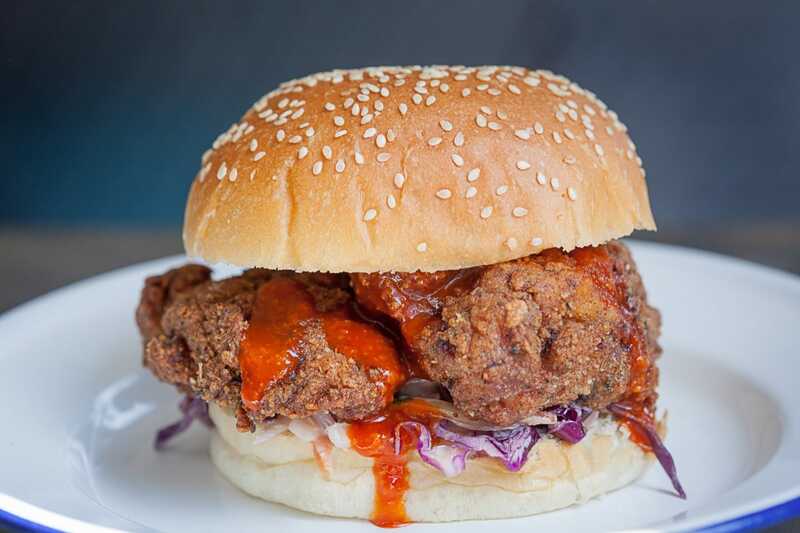 Outrageously good buttermilk fried chicken, as it is or in a fluffy, buttery brioche bun with all the usual trimmings. Absurd Bird only use free-range and hormone free chicken so you can enjoy honest, soulful Southern food almost guilt free! 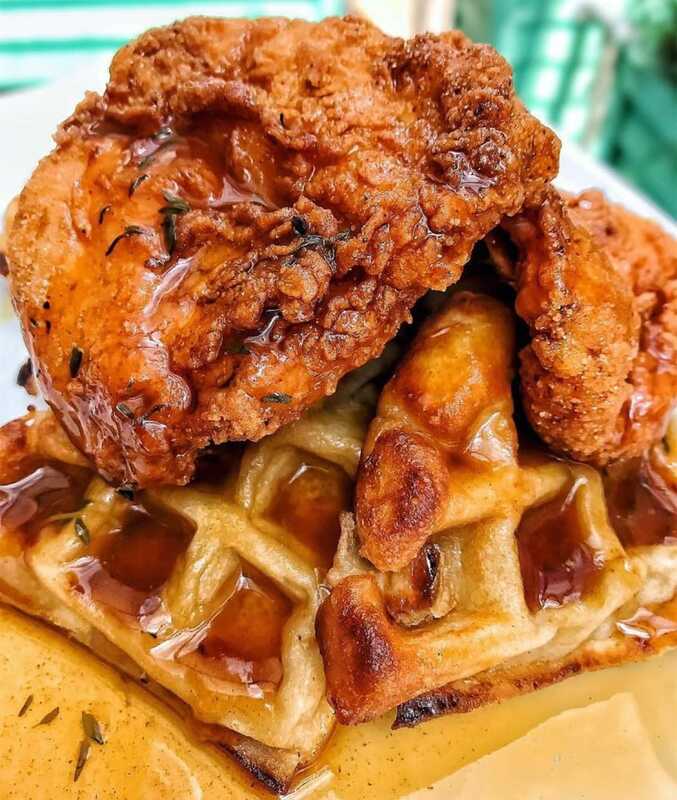 Feast It loves their fried chicken waffles with Absurd gravy and maple syrup. Doesn’t get more indulgent than that. 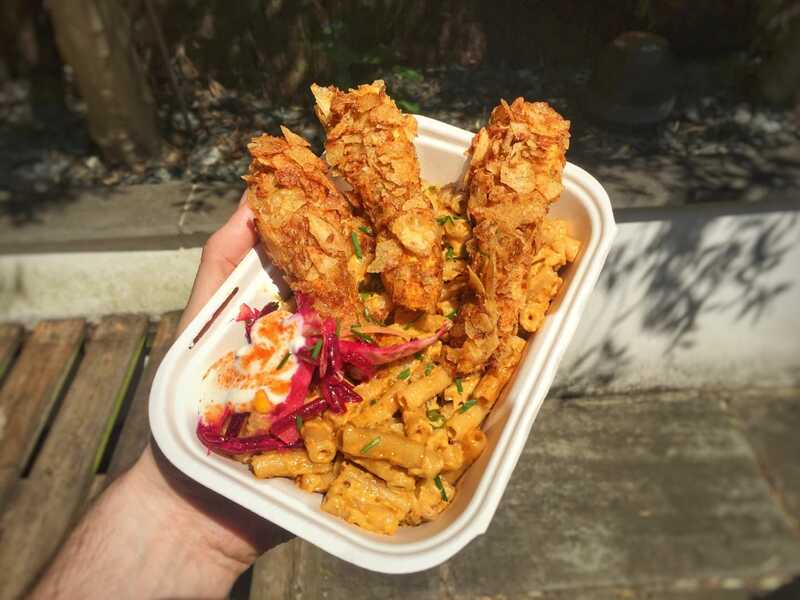 They claim they make the best fried chicken in London and Time Out seem to agree, placing Butchies at number three in the top street food traders! With some impressive corporate clients like Nike and the crew of the new Star Wars film, you know this is going to be great chicken. Feast It loves their classic Fried Free-Range Buttermilk Chicken Burger, with a garlic and herb aioli and house pickles in a soft toasted bun. Inventive fried chicken burgers with sophisticated flavour, served from an awesome 1979 Renault Estafette van, Barnyard Birds exclusively use the best locally sourced chicken and duck. Enjoy decadent sides like deep fried macaroni cheese, seasonal slaw and halloumi fries. Feast It loves the Bacon Burger with buttermilk fried chicken, fresh lettuce, chipotle mayo and candied bacon, all in a brioche bun. 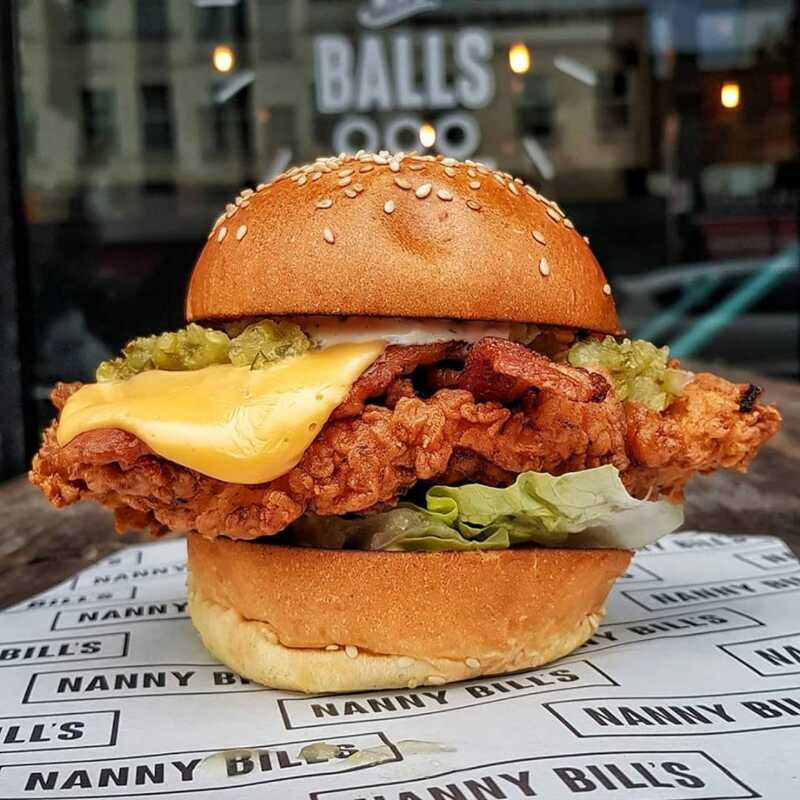 Serving from a 1970s Citroen HY van, Nanny Bill’s is an celebration of the founder’s grandmother, Nanny Bill! They’re all about proper, tasty food and they make a mean chicken burger. 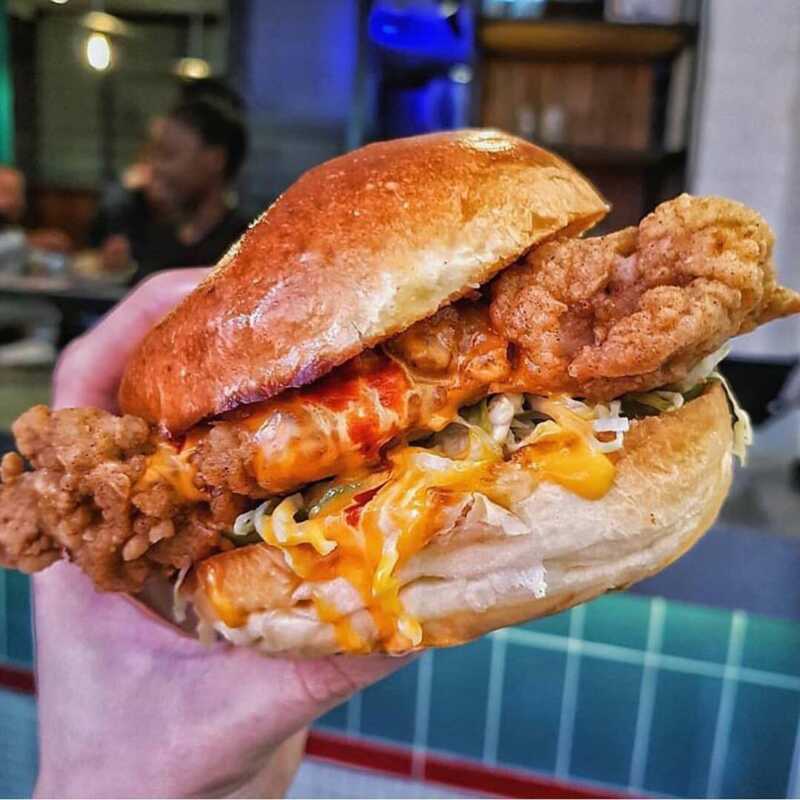 Feast It loves The Chick King, with a free-range fried buttermilk chicken breast, gherkin relish, lettuce and herby garlic sauce in a brioche bun. Inspired by the incredible smell of rotisserie chicken wafting through markets in Italy, Spain and France, Spit & Roast offer a posh version of buttermilk fried chicken, blending this classic with Korean flavours. Feast It loves their Buttermilk Fried Chicken Bap, which is served with hand cut slaw and a Korean hot sauce inspired by a friend’s restaurant in Seoul. So that’s it, Feast It’s top 7 fried chicken traders for your delectation. You can hire each and every one of these excellent chefs to cater at your next event to really satisfy your hungry guests. If you can’t see any veggie dishes on their menus, don’t worry, they can all create delicious vegetarian options at your request! Make an enquiry today to book your favourite for your wedding, party or corporate event.